Suriya Fans have finally got a reason to celebrate as the producer has announced the official release date of themuch awaited film NGK directed by Selvaraghavan. Prabhu SR tweeted the release date of the film as May 31, 2019. The movie after a long delay is finally got its date to stun the audience as Selvaraghavan is known for surprising the audience often. While fans were desperate for a release update and makers were looking for a right date, the pre-eid season will be an apt date for the film as thr big Eid festival will give good reception for the film. Its more than a year since a Suriya movie has released. After a terrific teaser, NGK made quite a curiousity among all audience and made people wait for the mystery to be unfold. 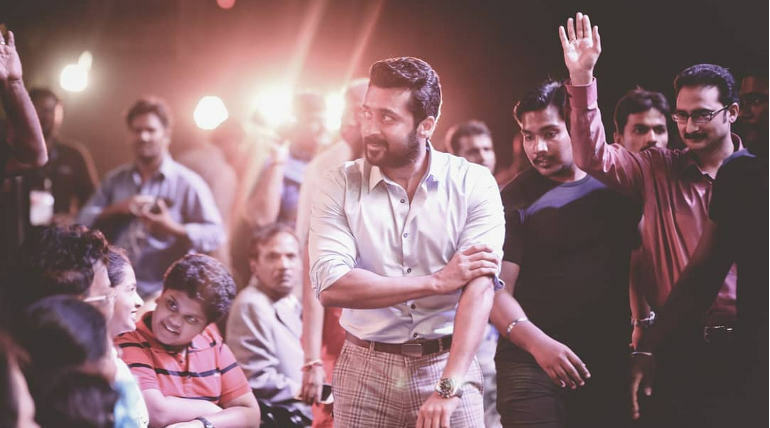 Yuvan's music is eagerly awaited and the audio launch is the next stop for NGK. Selva - Yuvan combo has already created some magic earlier and it is expected to continue for this exciting collaboration with the Star actor Suriya too.